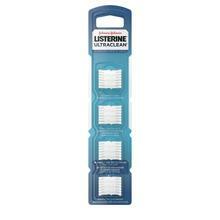 LISTERINE ULTRACLEAN® FLOSSER is rated 3.9 out of 5 by 8. Designed to make flossing as easy as brushing, this flosser has a long, ergonomic handle and non-slip grip to help you reach every tooth, even those pesky ones at the back. 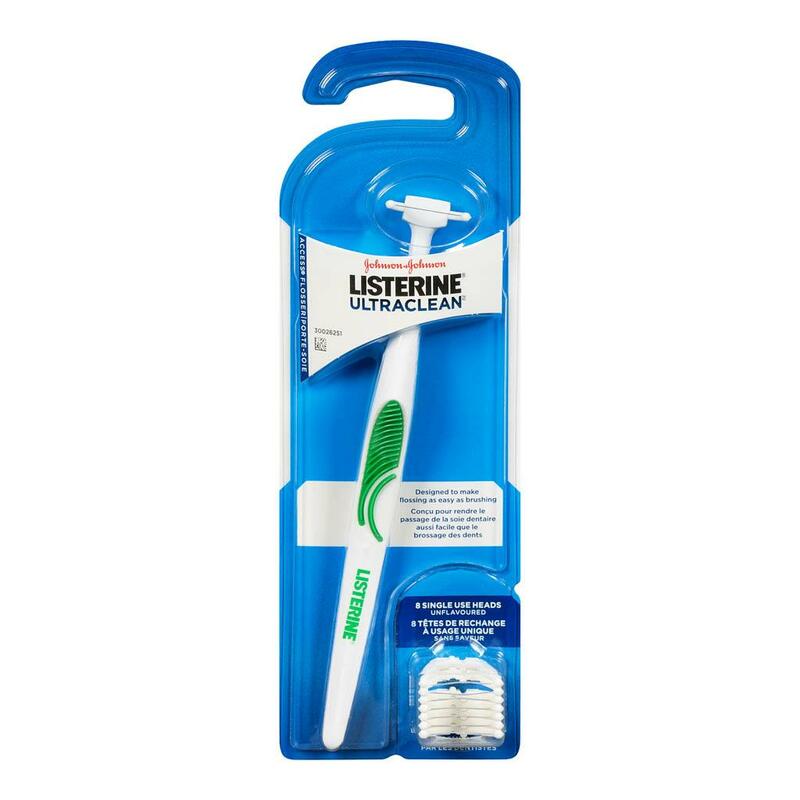 Rated 1 out of 5 by nick1964 from I go through way too many flosser refills This product was good value years ago when the flosser refills lasted me for up to 3 weeks with daily flossing. I just had to rinse it. Over the years they were breaking more and more easily and my most recent purchase breaks with almost every flossing. Clearly these can be made with stronger floss. My wallet aside, how is this good for the landfil?? Rated 5 out of 5 by Sher from For hard to reach places Love this product but is hard to find them. I have health issues with my mouth. I cannot get my hands in the mouth to floss but with this tool, it’s effortless. Thank you! Rated 5 out of 5 by LDones from Excellent Product After trying this product, I can't go back to the small flossers! Please keep these around!! Rated 5 out of 5 by Maebe from Fantastic! This flosser solves the problem of trying to fit fingers/hands into your mouth to floss. The handle is super long so it reaches the back teeth with no problem. And the 48 replacement heads (purchased separately) leave your mouth minty fresh! 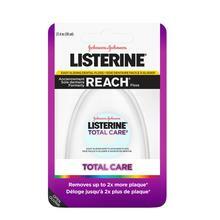 Rated 5 out of 5 by John from LISTERINE ULTRACLEAN FLOSSER Very easy to use compared to regular floss. I can never go back. Rated 1 out of 5 by Fred from Where are the non-mint refills? 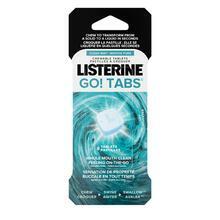 I am VERY disappointed that Listerine has decided to discontinue the non-mint refills. Time to switch to Plackers! Rated 4 out of 5 by Diane from Awesome flosser, but unreasonable to sell unflavored heads only with the new handle! I love this style of flosser and have been using it for years! My fingers are to clumsy for traditional floss and those other flossers are too small. However it is economically unreasonable to sell unflavored heads only with the new handle! I have bought unflavored head refills forever and now they are not available. That's means every two weeks I am forced to buy a whole new system because Johnson& Johnson decided not sell unflavored refills anymore. Please review this option and bring back the unflavored refills. Rated 5 out of 5 by garybillard from Absolutely Amazing!!!! Highly recommend!! Absolutely Amazing!!!! Highly recommend!! Works Great......Easy to use!!!! !